Amongst the railway stations on the Up Country Line of the Sri Lankan Government Railway are a number of little known Colonial-built and Colonial-style quaint railway stations. The romantic sounding Rozelle is one of them. 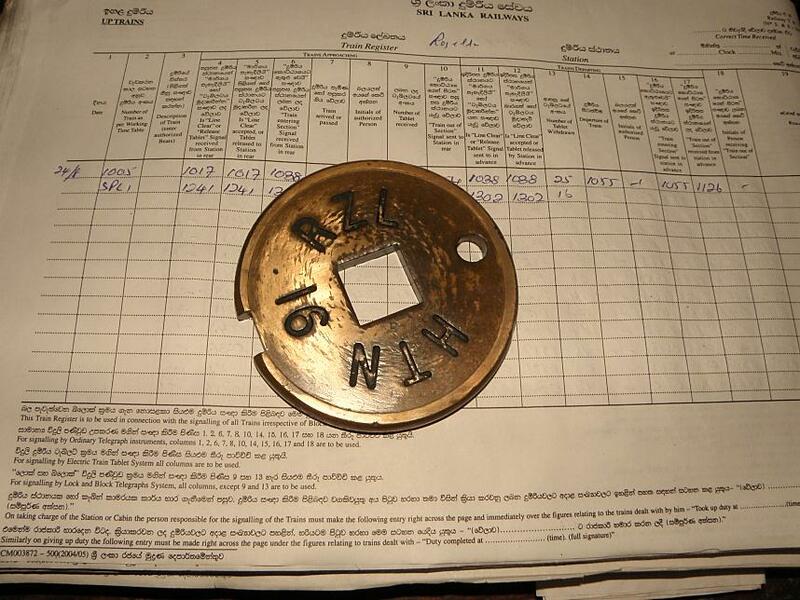 Very little is known of how this station came to be, although one assumes it had to do with the tea plantations. 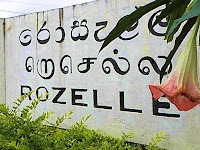 Even the English spelling of the name is not established as far as this station goes, and varies between Rozell e and Rozell a. The latter reflects the present day pronunciation of the name. 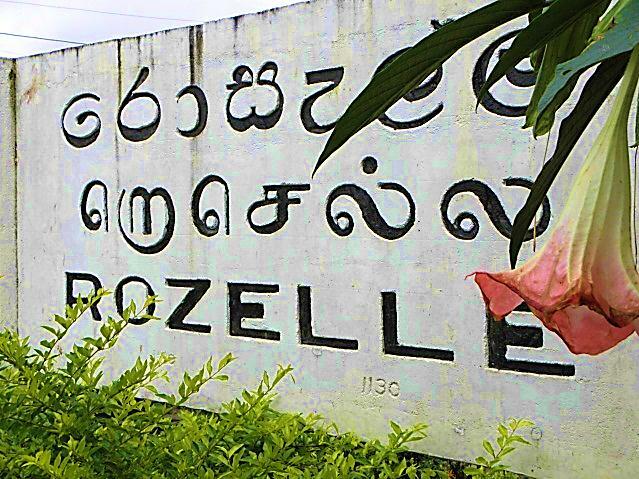 Most English speakers would pronounce Rozelle as “Ro-zell” (two syllables) but the Sinhalese characters spell it out as “Ro-sall-a” (three syllables). 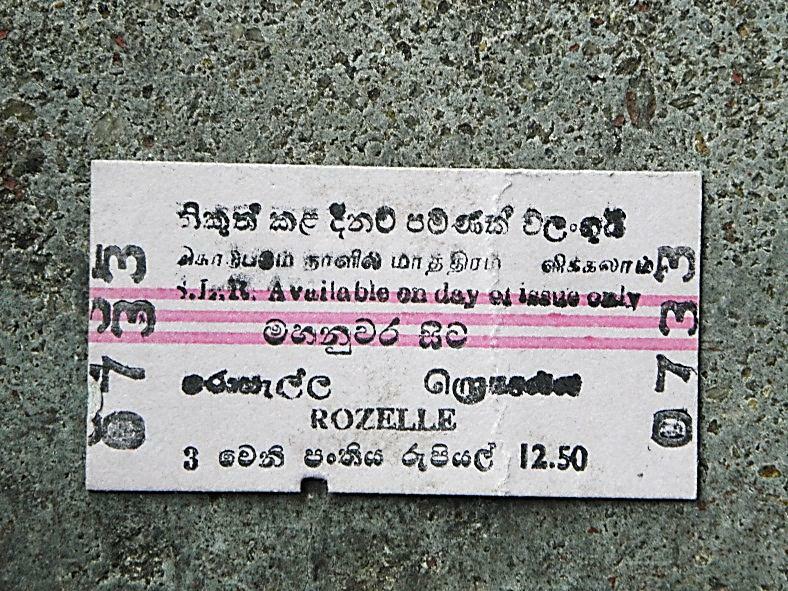 In Sinhala, which is a phonetic language, the spelling and the pronunciation of “Ro sall er” are clear and consistent but one cannot help thinking that, over time, the original pronunciation (and therefore the Sinhala spelling) has been “Sinhalicised”. 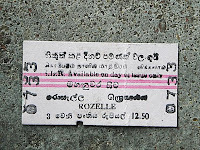 Officially, the station sign and the railway tickets use the first spelling but the rather recent official SLGR website lists it as Rosella, further confusing the issue! Situated between Watawala and Hatton at an elevation of 1130m, 168 Km from Colombo and 124Km from Badulla, the station is in an exposed and wind-swept situation facing a deep valley. A picturesque cascade falls into the valley below from a point close to the station, and this powers the hydro electric generator for the station. Incidentally, this area has the highest rainfall figure of Sri Lanka. The main access to Rozelle station is by train although the Station Road does connect with the main Colombo-Hatton road. Buses from nearby Hatton are infrequent. There is no town or even a proper settlement apart from the tea plantations. Apart from a tea shack next to the Goods Shed, there are no other facilities for the infrequent visitor. 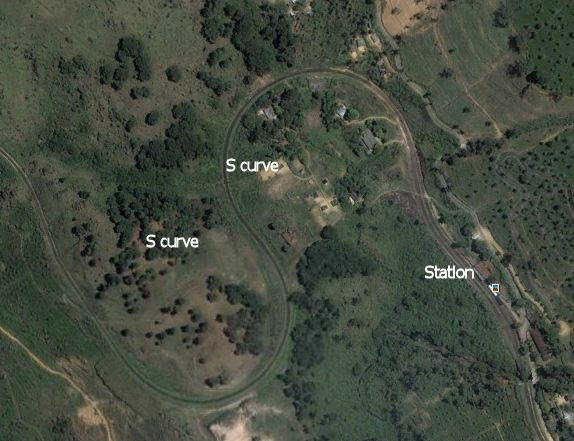 The single railway track approaches the station in the “Up” direction through a very tight 51/2 chains radius double or S curve with a gradient of 1:44. 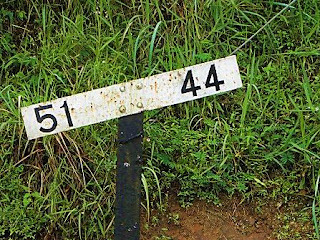 The maximum gradient on the present day Sri Lankan railway is 1:44. The gradient marker (above) is close to the outer Home Signal in the Up direction and on the S curve. 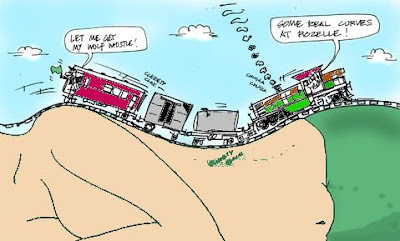 At one time, following an earth slip, the curvature of the track had to be reduced to 41/2 chains. This was later corrected by reconstructing the earthworks (David Hyatt in RSL supplements). 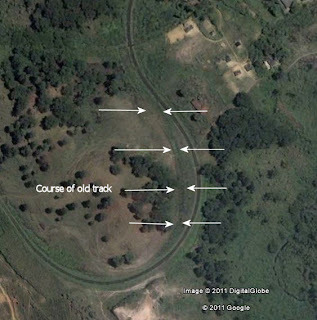 Although now dismantled, the course of the old track is still visible on the first curve. The overgrown grass does not allow a good photo at ground level. The Google Earth maps show the layout, the curves and the course of the old curve. 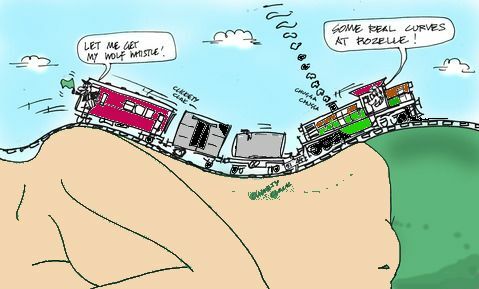 There is a short passing loop which is not long enough to allow two Night Mail trains to cross. Although there are two platforms now, as such, there is no connecting bridge. A small siding leads back from the “Up” side of the station to the old Goods Shed but both the siding and the shed are rarely used these days. As is normal on the Up Country Line, there are catch points at the downgrade end of the station. Until recently there was no mains electricity but now a small hydro electric generator, situated in the valley below, provides power. 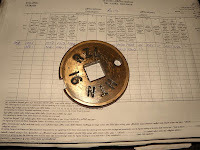 The hydro generator was built by the railway engineering department using scrap material. The old platform lamp hooks can still be seen. 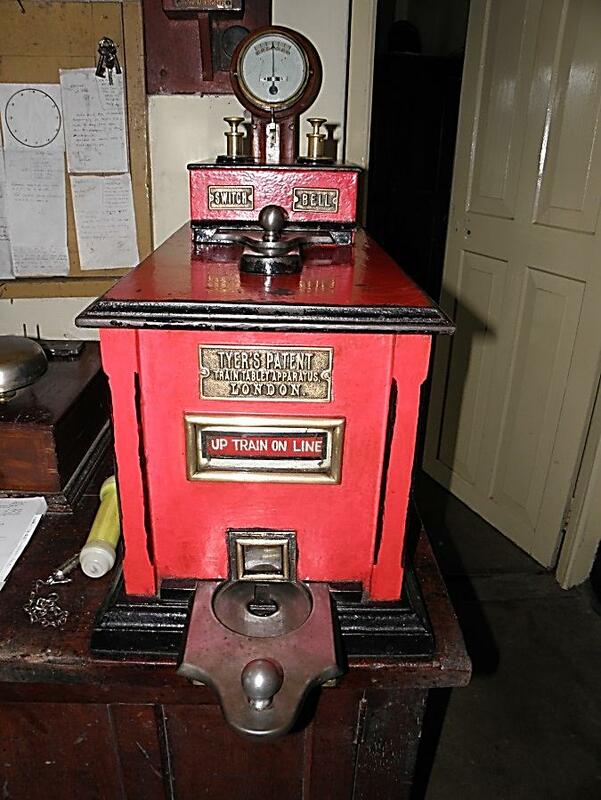 As is the norm on this stretch of the line, signals are of the mechanical, semaphore type and single line working is achieved by means of the Tyer token or “tablet” system. 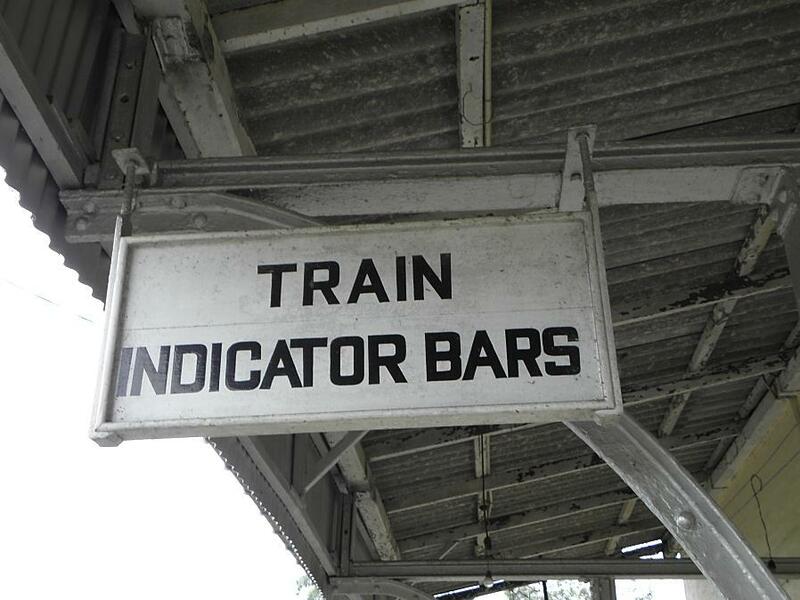 A curious feature, not seen anywhere else on the Sri Lankan railway, is the “Train Indicator Bars”. These are bars running parallel to the rails in a short section of the track in the station. 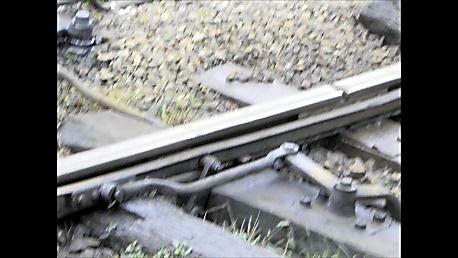 When a train occupies this section of the track the bars cannot be moved and, as a result of an interlocking system, the signal levers cannot be operated, thereby preventing another train getting on to the same track. There are a lot of curves at Rozella! Nicely written article. Really enjoyed. Hope to have a visit there soon. Thanks and do come back! Brilliant! Thanks for shining a light on this legacy. ...thank you for valuable facts. Thanks! Yes you can publish it. Regards! Copyright: Images and text Gyan C A Fernando. Picture Window theme. Powered by Blogger.